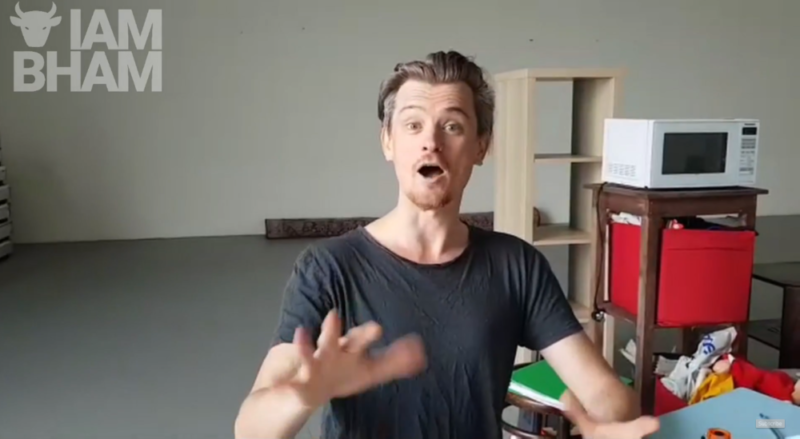 A creative new play about hoarding and clutter is coming to Birmingham’s Repertory Theatre this month. STUFF, from Women and Theatre, is a brand new quirky and comedic production that respectfully shines a light on the subject of hoarding – which this year was recognised by the World Health Organisation as a mental disorder. 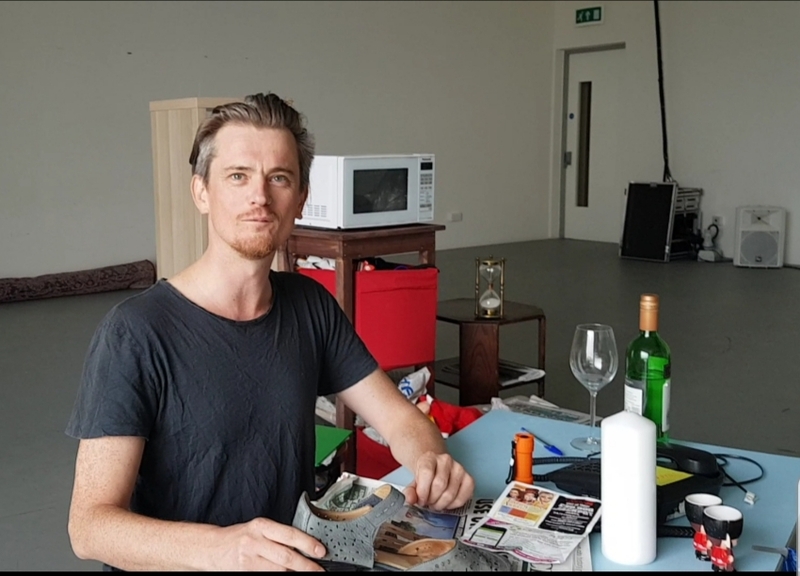 The production was developed through interviews with self-identified hoarders and the professionals who support them, particularity working with local support organisation Clouds End. 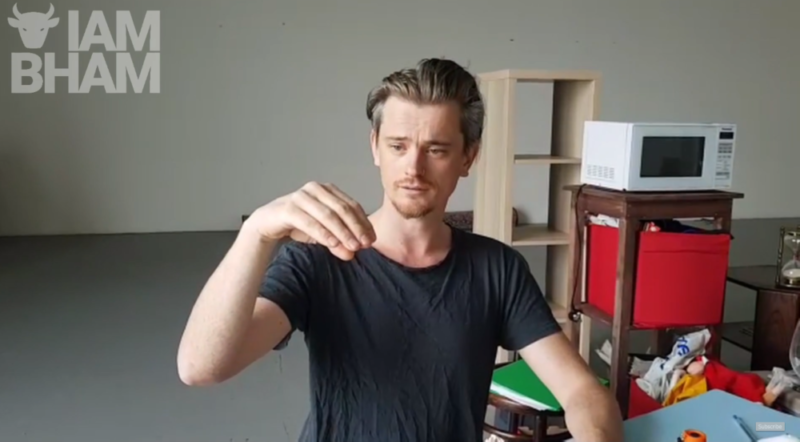 The play uses puppetry to explore the subject of hoarding; looking at place, time, memory and identity, emotional connections and attachments. Directed by Daniel Bailey, the show will premiere at the Birmingham Rep between 17th and 20th October. Puppeteer Michael Crouch from Creature Encounters stars in this new play alongside Birmingham’s Janice Connolly (Phoenix Nights, Women and Theatre, Barabara Nice). Michael, you’re currently working on a production called STUFF? 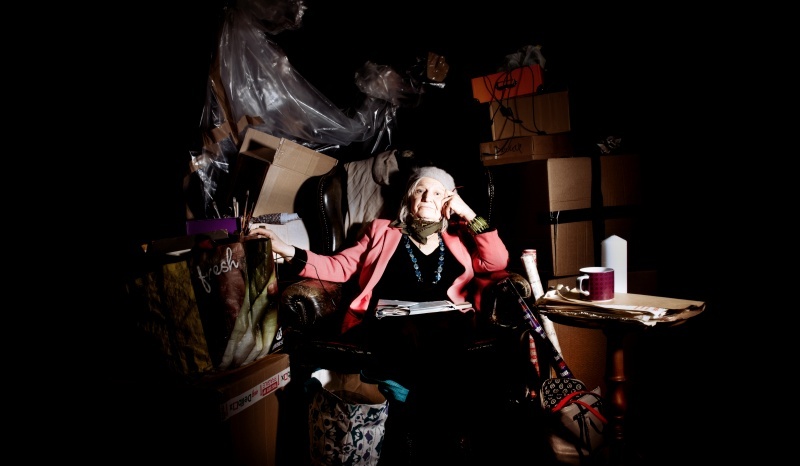 Yes, a co-production with Women and Theatre and the Birmingham REP. It’s about hoarding. What’s your particular role in this production? Janice from Women and Theatre approached me, she was interested in exploring the subject matter using the objects, I’m here as a puppeteer. I’m doing object manipulation using the skills of a puppeteer but not the puppet, we are using skills of puppetry to animate every day objects, hopefully in extraordinary ways to help tell a story. So you bring objects to life? Yes, using breath and focus. Little movements. The audience co-collaborate by projecting what they think the object is feeling onto the objects. So, there is a lot of interpretation in that sense? As like we would with anyone, as we move through the world, we get a feeling as to what we think they are thinking or feeling, and obviously that is our projected experience, which is the same with puppetry. Is this a narrative that has been written already, or are you devising and basing it on real stories? Janice has worked a lot with self-identified hoarders and the professionals to support them, spoke to them about their lives, how its impacted their lives, and whether they’ve been able to change the things they’ve wanted to change; to develop an understanding of the subject which is non-judgmental, compassionate, comedic and hopefully very human. It’s a space where a lot of things seem to meet in terms of our relationships with objects, companionship of objects, the tyranny of objects and capitalism, and how we are constantly being told what to consume and the affect it has on some people. It opens a space to talk about a subject that some people find quite shameful but I think we are all on it somewhere, whether you are minimalist, whose got nothing in your house, or at the other end of the spectrum you might be someone who would be catergorised as a hoarder, there is a whole load of space inbetween. Ways we distract ourselves if we feel emotionally uncertain, we may spend money, it’s a bit of a compulsive behaviour and suddenly you come back home and say ‘Why did I buy this stuff?’. We are examining this and trying to pull it out into the light a bit, because sunlight is the best disinfectant and helps get rid of shame, so they go ‘Actually, this is a subject that not only effects hoarders but effects all of us’. Lots of people with the condition can see aspects of my own self and things that I struggled with. Is it a serious piece or is there comedy within it? There is loads of pathos. Janice is amazing, she is like a compassion engine! She pumps it out and you can feel what she’s feeling. She’s a great actress, so sometimes it’s very touching and at other times it’s very, very, funny. Do you have any narrative yourself? I’m here to play with all the objects. So you are the ghost? I’m the ghost, perhaps in more ways than one. That’s something we are exploring in rehearsal at the moment. STUFF is on at the Birmingham Repertory Theatre between 17th and 20th October 2018.